#5 Want Wind or Speed? Reserved for non-motorized use only, the North Forebay is a sailor’s ream come true. Ranked as the best sailing and windsurfing north of the Bay Area, these waters and winds are delightful. The spot is also popular with those who prefer to canoe, swim, or just relax in the sun. A 200-yard sandy swimming beach has men’s and women’s dressing rooms, drinking water, and a special feature — shade trees that keep the sun off of your picnic table and you. A 15-space RV campsite and restrooms are also found at the North Forebay. 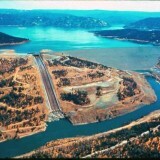 In addition to the North Forebay, there is a 7,000 sq. ft. aquatic center on site. The Forebay Aquatic Center is a collaborative effort between the Department of Boating and Waterways, the Department of Water Resources, the Department of Parks and Recreation and the Chico Rowing Club. The center provides boat rentals, such as kayaks (both single and double), pedal boats, hydro bikes, canoes, and sailboats. In addition to the rentals, the center offers courses in sailing, sit-on-top kayaking, sea kayaking, canoeing, wakeboarding, rowing, and aquatic camps for youths ages 8-16. The Aquatic Center is open Wed. through Sun., 10 a.m.-6 p.m. The South Forebay is the spot for speed competitions. Jet ski, speedboat, and hydroplaners all come here to show what they’re made of. The water action is exciting, and there’s a new swimming beach, a picnic area, and a fish cleaning station, as well as new shade trees. The Outdoor Fitness Course is state-of-the art and is designed for low impact cardio-vascular health and fitness for all levels. 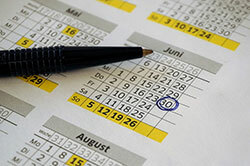 It consists of four stations, each with directions for the various activities. 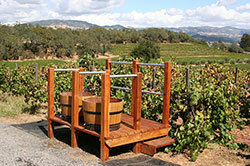 A project of the Rotary Club of Oroville, it is accessible for all, including the disabled. The sports clubs offers facilities for just about everything for anyone interested in getting or staying in shape: aerobics/fitness programs, weight-support programs, etc. If you prefer a park-like setting, try Bedrock Park for eight lighted tennis courts. This new state-of-the-art facility features 15 campsites (two horses per site), a restroom with shower facility, a horse washing station and horse tethering and feeding stations. What more could you ask for? The area features 44 miles of riding and hiking trails traveling from an elevation of 200-1000 feet. The trail meanders by many sights, including an old settler’s cabin and an 1850’s water flume. It’s a beautiful ride. 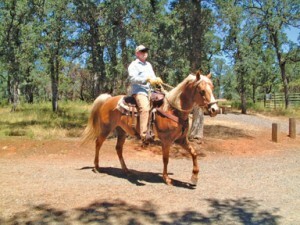 A trail map, developed by the Lake Oroville Mounted Assistance Unit, is available for $1.50. Some folks prefer sunrises, but we’re partial to sunsets, and we don’t think they come any better than those shining their colors across Lake Oroville. Since they’re twice as nice if you’re surrounded by water, why not enjoy one the best way, viewed from the deck of a houseboat. 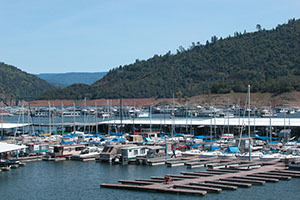 Both marinas have party boats, ski boats, fishing boats, wave runners, skis/toys available for rent at a nominal charge, and Lake Oroville Marina rents houseboats. You can get snacks to take along, as well as bait and tackle if you want to fish, in their grocery store. And then there’s the party barge — huge patio boat/dance floor/campsite/conference room — it’s all of these. Camping and picnic facilities are available near both marinas. Call ahead to be sure of a boat when you arrive. 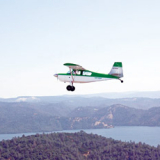 The sign on Wilbur Road reads “Oroville Air Corp.–Spectators Welcome.” And you can watch model airplanes being flown all most every day—every description of plane and some with wingspans of 120 inches—even helicoptors. The group encourages spectators and urges young and old to put their own craft in the air, pointing out that you can be piloting your own radio-controlled airplane for less than $300. DWR built a 350 x 300 foot runway, but the Wilbur site is best known because it affords both land and water takeoffs and landings. Oroville is one of only two places in Northern California where both land and water facilities are available. Just outside the Oroville city limits are 11,000 acres of preserved natural beauty with ample opportunities for fishing enthusiasts and birdwatchers. 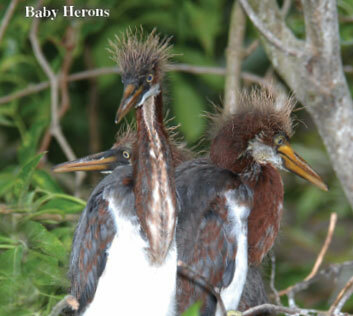 Egrets, beaver and river otters are among the many animals found here. Administered by the California Department of Fish and Game, the area is divided into two units: the 4,300-acre Thermalito Afterbay with its 26 miles of shoreline and the 5,700-acre Borrow Area Preserve. Bass, catfish, and crappie are found in both the ponds and the afterbay area, and salmon, steelhead, and shad can be caught in the river, twelve miles of which wanders through the Borrow Area section. 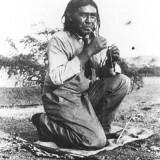 Canoes or car-top boats can be launched in several spots along the river. Some fishing restrictions are men-tioned on maps available at the entry points. There are campsites (no fees) in the southern half of Borrow Area. The area is also popular with birdwatchers since it provides a year-round or seasonal home to 171 species of birds. Hwy 70, Pacific Heights Rd, Larkin Rd., Vance Ave. & Palm Ave. Dedicated to the appreciation and preservation of last century’s military history and memorabilia, the owners have been collecting for over 30 years. This collection includes everything from a Browning M1917 Machine Gun (first introduced in 1917), an Antitank Gun (manufactured by Laudi during WWII), a rocket launcher (“Bazooka” of WWII), an English Civil Defense Air Raid Siren used to help Londoners reach the safety of bomb shelters, a Dutch Army Motorcycle (1955), to a Sidewinder Missile AIM-9E and an M60 Machine Gun developed for use in Viet Nam. There are a number of military wagons plus an outstanding collection of WWII posters which were used to boost morale, sell war bonds, and fuel nationalism in the 1940’s. Since you’ll need time to explore the many items on display, you may want to consider staying in the tree-shaded Campground here that is nestled on the banks of the Feather River. Fishing, tubing & kayaking trips originate here. In addition to operating two Oroville pools and multiple parks, FRRPD also has an activity center which offers a multitude of activities for all ages. There you will find a gym and classes ranging from fitness, dance, karate, theater, and more, along with a variety of camps. Twenty-four acre Nolan Complex features several youth baseball fields, a baseball stadium, picnic facilities, and Playtown USA, a theme playground— something for almost everyone. 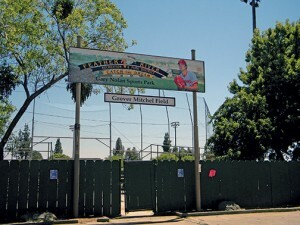 At Nelson Park, five lighted fields serve the Feather River Park & Rec. District’s softball program including coed and men’s leagues, and four youth fields are used by the FRRPD Junior Giants Program. 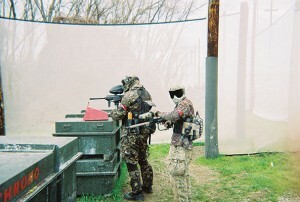 Playground equipment and picnic tables are also provided. Located at the West end of Montgomery Street, the first phase of Riverbend Park opened in May, 2006. Several open-air pavilions are found throughout the park and are available for picnicking or nature viewing. The water play area is very popular with kids. Five-acre Palermo Park is the home of the Feather River Horseshoe Club and has 12 regulation horseshoe pits for trying your skill. The park also offers an old-fashioned gazebo, covered group picnic areas, a hardtop slab, and a tot lot with playground equipment. Whether you want to pitch some horseshoes or hold a family reunion, this park can accommodate you. The park is also the site of the popular Palermo Field Days each September.